In the year 1696, the 11yr old daughter of John Shaw, the Laird of Bargarran, fell victim to one of the most well remembered cases of ‘demonic possession’ in Scottish History. It resulted in a large number of locals being implicated as her tormentors concluding with 7 people being put to death in Paisley on the 10th of June 1697. 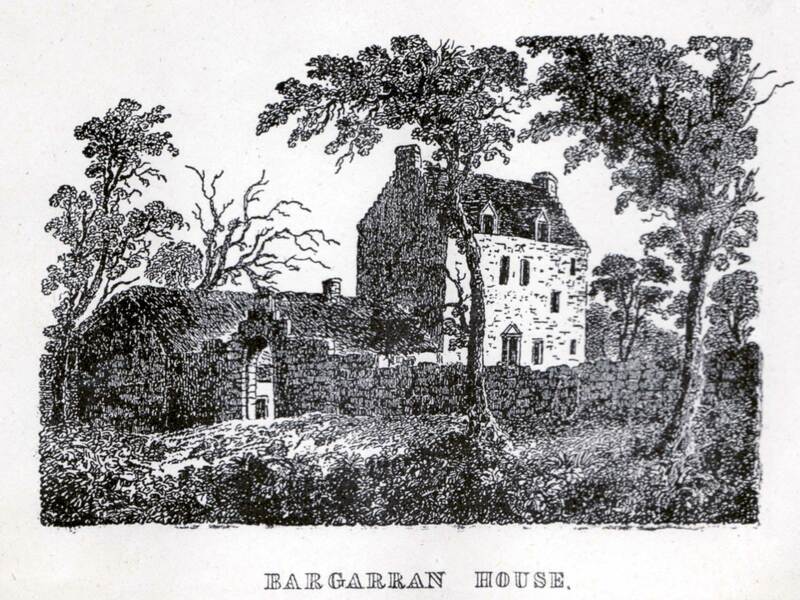 Research on the Bargarran Witchcraft Scare has been continuing as part of RWH1697. The Information coming up is very exciting, we now know when Christian Shaw died, and more about her later life in Edinburgh as an advisor to the Board of Manufacturing in relation to the improvement of thread spinning in Scotland, and her appointment as the first Mistress of the Edinburgh Spinning School in 1727. Research has also focused on the Trial in 1697. We now know that the execution took place on the Gallow Hill, which made up part of Castlehead Hill just to the south-east of Maxwelton Cross where the ashes of the seven found guilty were buried. (Most likely the area of Castlehead Church/ Castlehead High’s playing fields.) 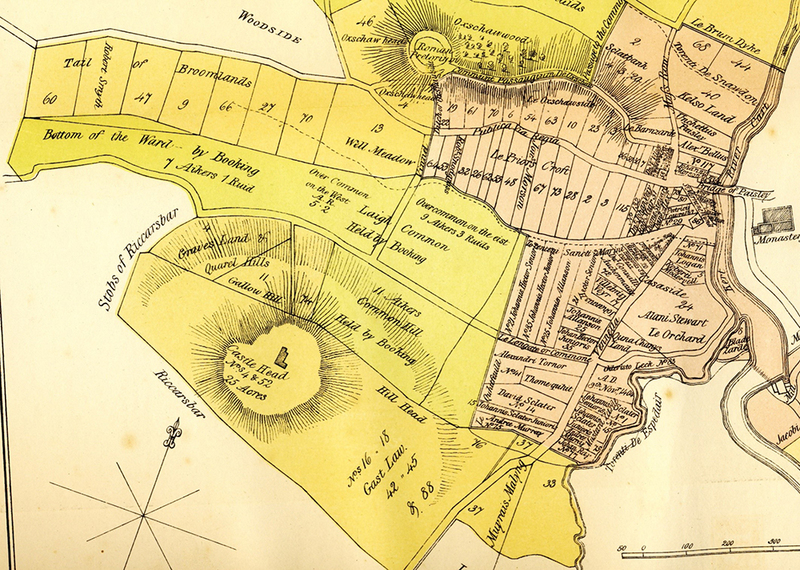 The Gallow Hill is identified through descriptions in the Abbey Rental Book which cover the era about 100 years before the events, but like any late medieval/ early modern town things did not change much in Paisley until the early 18th Century when the town began to rapidly grow. The area which has been recently associated with the witches – the remains of the so called ‘Gallow Green’ at Queen street with a well, is very unlikly to be a place of execution and burning. The question I raise when this is discussed is ‘Would you want to execute and burn a body beside your water supply?’ The answer has to be no. It was common for executions to become a spectaclular with large crowds gathering to witness the days events, so it is more likely that this part of the Gallow Green would be where people gathered to watch proceedings on the hill.